Live Video Clips of James' show One Step Forward at the Metropolitan Room. Live Video Clips of James' debut cabaret performance of One Step Forward at the Metropolitan Room. Buy the CD Do It All Over Again! Billboard awarded James a "Top 500 Songwriters Award for 2005" for his original "Anything, Any Day, Anytime" on his debut CD, Do It All Over Again. Look for James to release new original songs as part of a new CD soon. 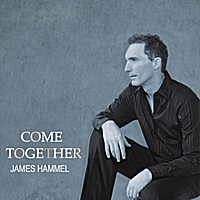 Not to be confused with the Beatles classic, James' Come Together is an adult contemporary pop song about a man who awakens one day to see the world as it really is and becomes convinced that if we come together as a people we can address problems such as our economic woes, the wars, education, hunger around the world, and the environment. Some have said that this song reminds them of Sting and Peter Gabriel. Performers include James (music, lyrics, guitar and lead vocals). Background singers include Ada Dyer (who has sung backup with Sting) , Lily Henley, Primativa and Gennaro Tedesco as well as a cast of talented 11-year olds from the Mandell School in Manhattan. Musicians include Matt Wigton (upright bass), Jonathan Mover who has recorded with Peter Gabriel (drums and percussion), and Gennaro Tedesco (percussion). The song is produced by Gennaro Tedesco and NGEN Productions in New York City. It's time to Come Together and make the world a better place...for living. James is also continuing to write and produce "socially conscious" music. Stay tuned for more about Come Together including production of a video.